Have you been struggling with thinning brows? Do you have a previous brow treatment that has faded or changed color? Have you lost your brows due to medical reasons? Now a solution that looks beautiful and natural. Micro-blading is the finest form of eyebrow artistry. Using a pen-like device with a disposable micro blade attached to scratch and etch very thin lines into the skin mimicking eyebrow hairs. When using the hand held microblade, the color is deposited into the dermis leaving very fine, crisp hair strokes with no spreading under the skin. These lines heal finer and sharper and there is less blurring over time. With micro-blading almost any look can be created. From a very natural light finish to a beautiful bold brow. Each treatment is customized to the client and the measurements of your face. Colors are chosen to compliment your natural coloring. We strive to give you the most natural looking brow. 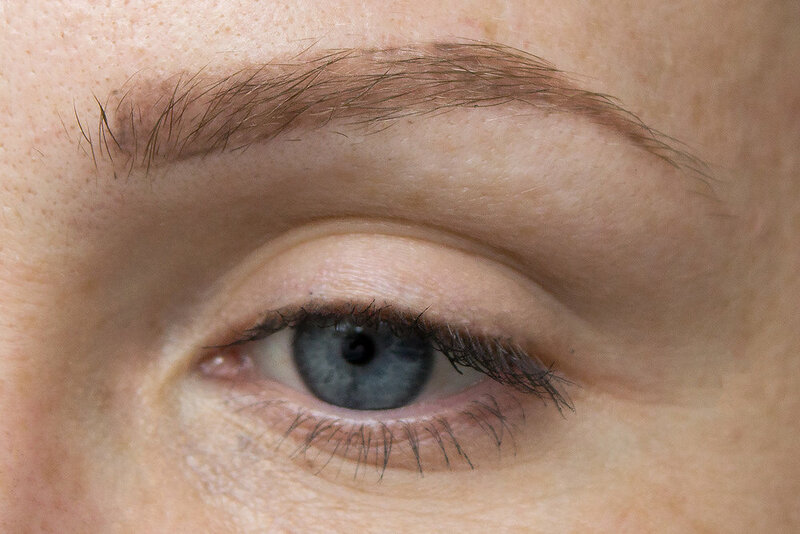 Micro-blading is great for anyone looking to improve or enhance the appearance of their brows. Even those suffering from alopecia or other forms of hair loss can have their brows restored. The strokes are more visable when there is high contrast between the skin and pigment color. Your new brows can last between 1-3 years depending on your skin and the color of the pigment chosen.